Connecting communities, and promoting the latest technologies. Organizing conferences wasn't "new" to Cotter Interactive. But, organizing an event, at a caliber that was higher than normal, was a big undertaking. 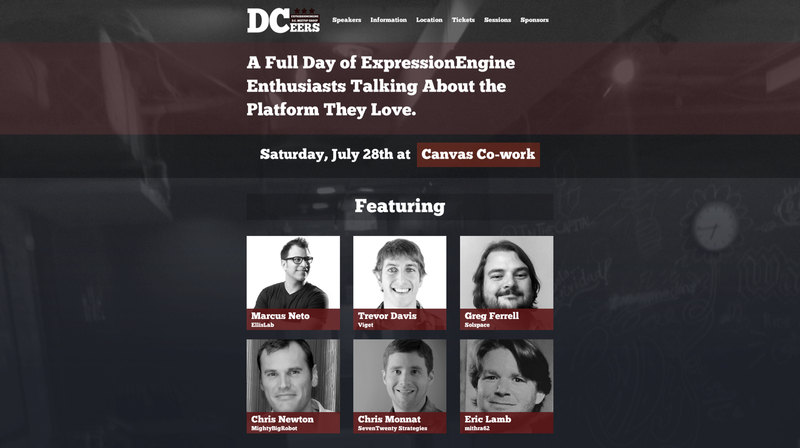 It all started with the DCEERS ExpressionEngine Meetup group. Zac Gordon and Jessica D'Amico organized these local DC meetups, where on average, about 15 - 20 people attended. Per Zac Gordon's nature of coming up with ideas, it was envisioned to organize a DC based ExpressionEngine event that was, well, amazing, to say the least. The goal was quite simple, create a memorable event promoting ExpressionEngine. And that's exactly what happened. Drawing people's attention to our goal and speakers was critical. Our simple, yet effective design did just that. Cotter Interactive primarily handled the online technologies leading up to the event, as well as assisting day of the event, making sure things went smoothly. The DCEERS Meetup group already had a logo, but the rest of the branding was up to us. 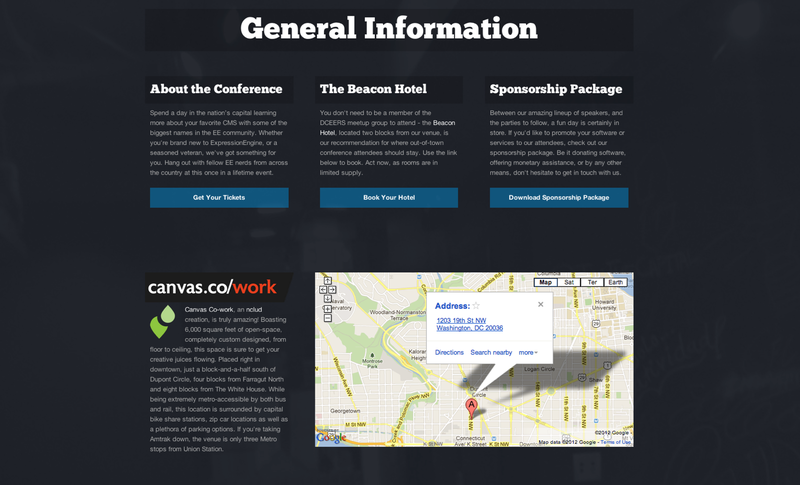 We went for a DC spirited single page site to promote the event. Promoting the speakers and their talks was critical. We needed to get the visitor acquainted with what we were doing, and convince them to come, in as short a time span as possible. Once we've had the visitors attention, we tastefully provide additional information in a condensed, concise view. Of course, the site is running ExpressionEngine. From add-on giveaway management to questionnaire responses, to the site itself, ExpressionEngine was involved. The event was a huge success. Between Wide Sky Web, Just Jess, and Cotter Interactive, we definitely marked this a grand success. We had over 70 in attendance, and all left with a good taste in their mouth and expressed their interest in attending another event. 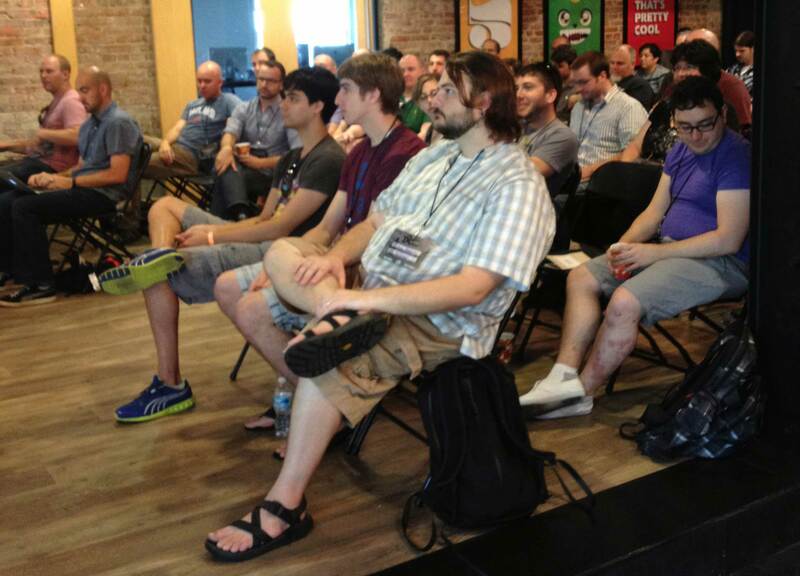 An attentive, focused group of attendees. They too, led to the success of the event. Once again proving why the ExpressionEngine community is amazing, the response and support we got from this event was unprecedented. The speakers were the best of the best, featuring presenters from top ExpressionEngine centric businesses. Cotter Interactive was thrilled to participate in this event, and we'll definitely contribute to future events again.